Hello world! 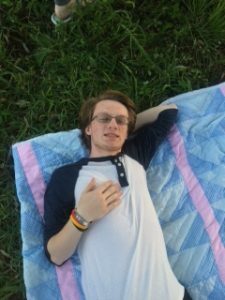 My name is Samuel DiLandro, and I am a Freshman French Major with a Concentration in Pre-K through Secondary Education here at the Cormier Honors College at Longwood University! I am from New Kent, Virginia, and I enjoy learning about Pre-Revolutionary/Middle Ages French History as well as French grammar. 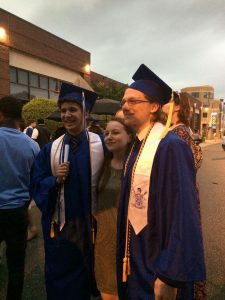 In the left-hand picture below, I am on the right, in the middle is my girlfriend, and on the left is my current roommate and I graduating from New Kent high school in 2017. The right-hand picture is just me!